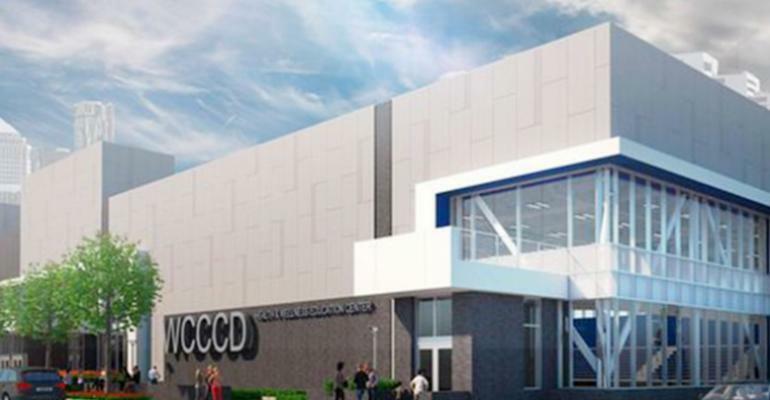 CCC, in partnership with Tooles, was selected to perform pre-construction and construction management services for the WCCCD Health & Wellness Center. The District desires to construct a 75,000 square foot Health and Wellness Center. The emphasis of the Health and Wellness Center is to promote the development of healthy lifestyles and fitness habits, occupational therapy education, support intramural sports activities, and support related credit and non-credit instructional programming. Construction of a new facility will include: one NCAA regulated (1) gym court with a capacity for 1000 spectator seats, multi-purpose rooms for large and small group physical education activities, aerobics/cardiovascular/ weight training areas, locker rooms, equipment storage, training room, coaches’ offices, commons area, indoor running track, exercise facilities, cafe, and meeting/conference rooms; coffee shop, snack bar. The center will be situated at the Downtown campus positioned for an accessible court yard and may have a cross walk connecting the Main Building to the structure.